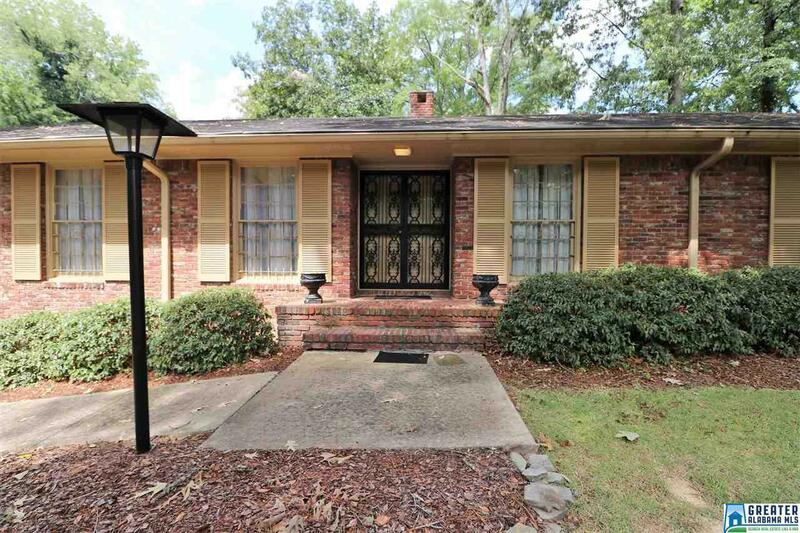 918 Saulter Rd, Homewood, AL.| MLS# 830966 | Richard Jacks UABLIVING.com 205-910-2297 | Birmingham AL Real Estate | Contact us to request more information about our Homes for Sale in the Birmingham AL area. 4 Bedrooms & 4 Baths on HUGE, HALF ACRE +- lot with a TWO CAR GARAGE and a FULL BASEMENT. Zoned to Edgewood Elementary and minutes from Lakeshore. All of the Bedrooms are Large and the Closets are plentiful. You&apos;ll notice that the &apos;original&apos; ceramic tile in the bathrooms is in great shape,.... something quite unusual in a home of this age. The Foyer is quite spacious and leads you to the Living/Dining Room which extended across the front of the home and has an entry to the Kitchen. The spacious Kitchen has a breakfast nook, which could be used as a Keeping Room. From the Kitchen there is a door leading down to your Full Basement, which holds so many options. You could have a Fabulous MAN CAVE, other Bedrooms, a Playroom, Theater, Sewing Room ..... maybe an IN_LAW SUITE. Over 4,000 square feet to re-arrange to meet your needs This is a LARGE, stately, all BRICK, CUSTOM BUILT home with so many extras, including great Landscaping and a SPRINKLER SYSTEM!! Driving Directions: I65 N. Right On Lakeshore, Left On Greensprings, Right On Broadway, Right On Saulter. Home Will Be At The Corner Of Crest And Saulter.